In the Bornholmsk (Burgundian) dialect of Bornholm a “Gâst” is a type of a ghost demon or energy that possesses a mortal and inspires them in much the same way as a muse, with visions, stories, smells, sounds, emotions and pictures. 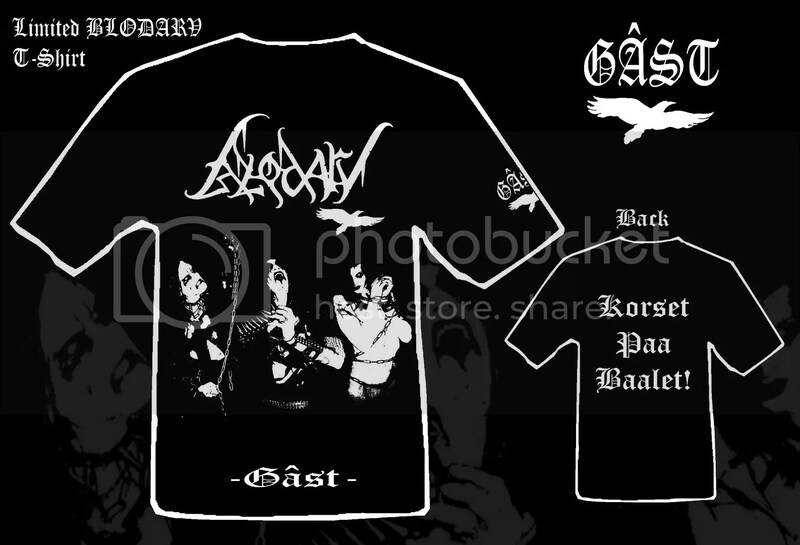 Commenting on the album, which is a powerful blend of BLODARV’s mid-tempo black metal spiced with both fast and slow tracks, Hugin had this to say: “It’s fitting that the release of “Gâst” will take place in winter, when the winds howl and the snow blankets the island of Bornholm, creating the perfect setting for an album that explores life philosophies, death, the micro and macro cosmos, and the forces of nature and power of the universe and all the energies that cling to it. 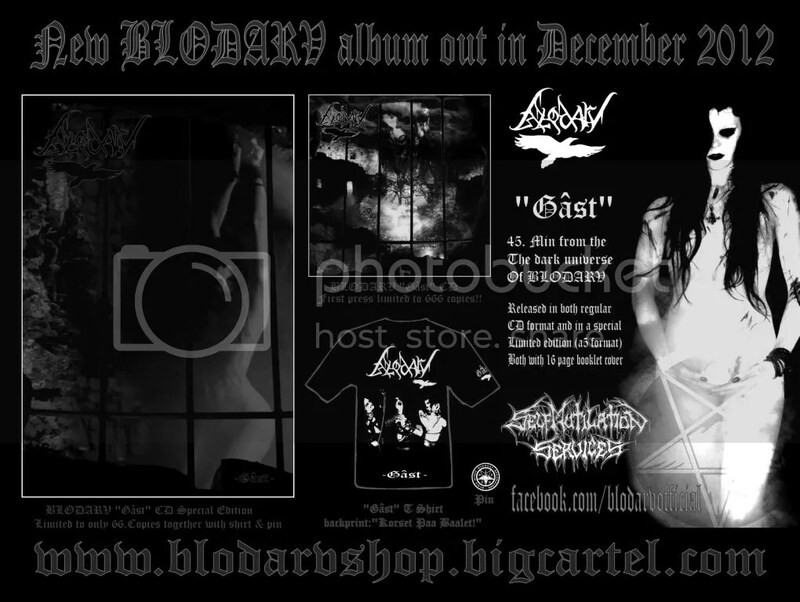 Like our previous releases, the album contains a mix of tracks in both Danish and English, and is a piece full of hateful blasphemous poetry, dark visions, possessive muses, and soul-seeking demons”.